This is a 5-day local yarn shop hop! We have 24 member shops between Kent, WA and Lynden, WA. Pick up a free passport at any participating shop after April 16th. Visit as many - or as few! - shops during these dates, and you’ll get a button and free patterns (crochet and knitting). 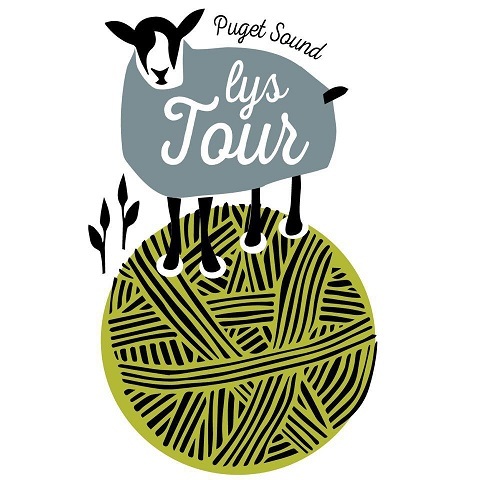 The yarn to support the patterns will be 10% off during the tour. Tour Bags will be available, first come-first serve, after April 16th. You can purchase on-line or in the store! Limited Supply so hurry to get yours! We look forward to seeing familiar faces and new faces this year! With a unique shape and fresh appeal, the Zuma bag opens wide and closes fast with 3 well-placed magnets. The interior features 3 pockets (1 zipper pocket and 2 open-top pockets) and the rear exterior has a handy zipper pocket for quick access. The front pocket boasts an accordian-style design for multi-compartment storage of whatever tickles your fancy. How great...how Zuma!